See below for comments by Thusness. Here is contained "Self-Liberation through Seeing with Naked Awareness," this being a Direct Introduction to the State of Intrinsic Awareness, From "The Profound Teaching of Self-Liberation in the Primordial State of the Peaceful and Wrathful Deities." Homage to the Trikaya and to the Deities who represent the inherent luminous clarity of intrinsic awareness. Herein I shall teach "Self-Liberation through Seeing with Naked Awareness," which is a direct introduction to intrinsic awareness From "The Profound Teaching of Self-Liberation in the Primordial State of the Peaceful and Wrathful Deities." Even though its clarity and presence has been uninterrupted, you have not yet encountered its face. Even though its arising has nowhere been obstructed, still you have not comprehended it. Therefore, this (direct introduction) is for the purpose of bringing you to self-recognition. in the eighty-four thousand Gateways to the Dharma. Is incomprehensible (unless you understand intrinsic awareness). Indeed, the Victorious Ones do not teach anything other than the understanding of this. yet with respect to the real meaning, there are three statements that will introduce you to your own intrinsic awareness. is disclosed by the following method for entering into the practice where there exists no antecedent or subsequent practices. O my fortunate sons listen! there come into existence inconceivable numbers of philosophical ideas and assertions. and so they continue to wander among the six destinies (of rebirth) within the three worlds and thus experience suffering. still they do not understand it as it is in itself. Become fettered by these attachments and so do not perceive the Clear Light. The Sravakas and the Pratyekabuddhas are (mentally) obscured by their attachments to subject and object. The Madhyamikas are (mentally) obscured by their attachments to the extremes of the Two Truths. The practitioners of the Kriya Tantra and the Yoga Tantra are (mentally) obscured by their attachments to seva-sadhana practice. The practitioners of the Maha-yoga and the Anuyoga are (mentally) obscured by their attachments to Space and Awareness. And with respect to the real meaning of non-duality, since they divide these (Space and Awareness) into two, they fall into deviation. If these two do not become one without any duality, you will certainly not attain Buddhahood. In terms of your own mind, as is the case with everyone, Samsara and Nirvana are inseparable. Nonetheless, because you persist in accepting and enduring attachments and aversions, you will continue to wander in Samsara. Therefore, your active dharmas and your inactive ones both should be abandoned. You should understand that all dharmas can be perfected and completed in the great total Self-Liberation. And therefore, whatever (practice you do) can be brought to perfection within the Great Perfection. As for this sparkling awareness, which is called "mind,"
Even though one says that it exists, it does not actually exist. (On the other hand) as a source, it is the origin of the diversity of all the bliss of Nirvana and all of the sorrow of Samsara. And as for it¡¯s being something desirable; it is cherished alike in the Eleven Vehicles. Some call it the Praj?¨¢p¨¢ramit¨¢ or "the Perfection of Wisdom." There exist no phenomena other than what arises from the mind. Other than the meditation that occurs, where is the one who is meditating? Other than the behavior that occurs, where is the one who is behaving? Other than the samaya vow that occurs, where is the one who is guarding it? Other than the fruition that occurs, where is the one who is realizing (the fruit)? You should look at your own mind, observing it again and again. Then your own subtle mind will become lucidly clear without anything being projected. and this is like the sun rising in a cloudless illuminated sky. Even though this light cannot be said to possess a particular shape or form, nevertheless, it can be fully known. The meaning of this, whether or not it is understood, is especially significant. is the child of awareness, and yet it is itself without any parents--amazing! This self-originated primordial awareness has not been created by anything--amazing! It does not experience birth nor does there exist a cause for its death--amazing! Although it is evidently visible, yet there is no one there who sees it--amazing! Although it has wandered throughout Samsara, it has come to no harm--amazing! Even though it has seen Buddhahood itself, it has not come to any benefit from this--amazing! Even though it exists in everyone everywhere, yet it has gone unrecognized--amazing! Nonetheless you hope to attain some other fruit than this elsewhere--amazing! Even though it exists within yourself (and nowhere else), yet you seek for it elsewhere--amazing! Just this is the highest pinnacle of all views. Just this is the highest pinnacle among all meditations. Just this is the highest pinnacle among all courses of conduct. Just this is the highest pinnacle among all fruits. (First) there is the great vehicle of the unmistaken view. and this lucid clarity is without error or mistake, it is called "a vehicle." (Second) there is the great vehicle of the unmistaken meditation. (Third) there is the great vehicle of the unmistaken conduct. and this lucid clarity is without error or mistake, it is called "a vehicle". (Fourth) there is the great vehicle of the unmistaken fruit. Here is the teaching on the four great unchanging (essential points called) "nails." because it is stable in the three times; it is called "a nail." You should relinquish all notions of the past and abandon all precedents. You should cut off all plans and expectations with respect to the future. And in the present, you should not grasp (at thoughts that arise) but allow (the mind) to remain in a state like the sky. Since there is nothing upon which to meditate (while in the primordial state), there is no need to meditate. And since there does not exist any distraction here, you continue in this state of stable mindfulness without distraction. In this state, which is without meditation and without any distraction, you observe everything with a naked (awareness). Your own awareness is inherently knowing, inherently clear, and luminously brilliant. When it arises, it is called the Bodhicitta, "the enlightened mind". Being without any activity of meditation, it transcends all objects of knowledge. Being without any distraction, it is the luminous clarity of the Essence itself. Appearances, being empty in themselves, become self-liberated; clarity and emptiness (being inseparable) are the Dharmakaya. at this time you will actually behold Vajra-sattva. This "mind" which is your own intrinsic awareness is in fact self-originated primal awareness. And with regard to this, the observer and the process of observing are not two different things. At that time your view is exhausted and overthrown. Thus, even though it is the end of your view, this is the beginning with respect to yourself. The view and the one who is viewing are not found to exist anywhere. At this very moment your own present awareness becomes lucidly clear. Just this is the view (or the way of seeing) of the Great Perfection. Therefore understanding and not understanding are not two different things. your own ordinary present awareness is directly penetrating. The process of meditation and the one who meditates are not two different things. at that time your meditation is exhausted and overthrown. Thus, even though it is the end of your meditation, this is the beginning with respect to yourself. The meditation and the meditator are not found to exist anywhere. and this unmodified state of even contemplation is concentration. Therefore remaining in a calm state or not remaining in it are not two different things. your own self-originated primal awareness is the Unique Sphere. Behavior and the one who behaves are not two (different things). At that time your behavior is exhausted and overthrown. Thus, even though it is the end of your conduct and behavior, this is the beginning with respect to yourself. From the very beginning neither behavior nor the one who behaves have existed (as separate realities). your immediate awareness is an un-fabricated inherent clarity. such conduct or behavior alone is pure. (Therefore) pure and impure action are not two (different things). the nature of the mind that is inherent awareness is (none other than) the spontaneously perfected Trikaya. What is realized and the one who realizes it are not two (different things). at that time your fruit is exhausted and overthrown. Thus, even though it is an end to your fruition, still this is the beginning with respect to yourself. Both the fruition and the one who has attained the realization are found to not exist anywhere. your immediate present awareness becomes spontaneously perfected inherent clarity. Understand that within yourself the Trikaya is fully manifest. (Therefore) this itself is the fruition of primordial Buddhahood. This intrinsic awareness is free of the eight extremes, such as Eternalism and nihilism, and the rest. and we speak of intrinsic awareness as uninterrupted mindful presence. therefore it is called by the name of Tathagata-garbha, that is, "the embryo or heart of Buddhahood." If you understand the meaning of this, then that will transcend and surpass everything else. Therefore, it is called by the name of Praj?¨¢p¨¢ramit¨¢, that is, "the Perfection of Wisdom." therefore it is called by the name of Mahamudra, that is, "the Great Symbol." Therefore it is called by the name of Alaya, that is, "the foundation of everything." is called by the name of "ordinary awareness." With regard to its real meaning, it is just this immediate present awareness (and nothing else). Is just like having an elephant (at home), but searching for its tracks elsewhere. Even though you may try to measure the universe with a tape measure, it will not be possible to encompass all of it. (Similarly) if you do not understand that everything derives from the mind, it will not be possible for you to attain Buddhahood. By not recognizing this (intrinsic awareness for what it is), you will then search for your mind somewhere outside of yourself. If you seek for yourself elsewhere (outside of yourself), how can you ever find yourself? He continually makes the error of mistaking others for himself. you do not know that appearances come from mind, and so you are thrust once again into Samsara. By not seeing that your own mind is actually the Buddha, Nirvana becomes obscured. With respect to Samsara and Nirvana, (the difference is simply due) to ignorance or to awareness respectively. But at this single instant (of pure awareness), there is in fact no actual difference between them (in terms of their essence). If you come to perceive them as existing somewhere other than in your own mind, this is surely an error. (Therefore) error and non-error are actually of a single essence (which is the nature of the mind). the unmodified uncorrected nature of the mind is liberated by its being allowed simply to remain in its own (original) natural condition. You should look into what is self-arising and self-originated. In between they must remain somewhere, and at the end they must go somewhere. Yet when you look (into this matter), it is, for example, like a crow gazing into a well. When he flies away from the well, (his reflection) also departs from the well and does not return. they arise from the mind and are liberated into the mind. As is the case with the sky above, its emptiness and its clarity have been inseparable from the very beginning. And becoming systematically established as luminous clarity, just this is the Dharmata, the nature of reality. You are aware of it in your own mind, and this latter is the nature of the mind. Since it is aware and clear, it is understood to be like the sky. this is in fact only a metaphor or simile indicating things in a one-sided fashion. The nature of the mind, as well as being empty, is also intrinsically aware; everywhere it is clear. But the sky is without any awareness; it is empty as an inanimate corpse is empty. 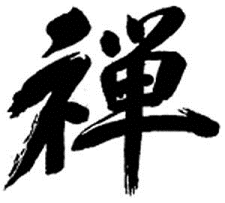 Therefore, the real meaning of "mind" is not indicated by the sky. So without distraction, simply allow the mind to remain in the state of being just as it is. Even though these appearances that you perceive do arise, if you do not grasp at them, then that is Buddhahood. Appearances are not erroneous in themselves, but because of your grasping at them, errors come into existence. But if you know that these thoughts only grasp at things which are mind, then they will be liberated by themselves. Everything that appears is but a manifestation of mind. Even though the entire external inanimate universe appears to you, it is but a manifestation of mind. Even though all of the sentient beings of the six realms appear to you they are but a manifestation of mind. Even though the happiness of humans and the delights of the Devas in heaven appear to you, they are but manifestations of mind. Even though the sorrows of the three evil destinies appear to you, they are but manifestations of mind. Even though the five poisons representing ignorance and the passions appear to you, they are but manifestations of mind. Even though intrinsic awareness, which is self-originated primal awareness, appears to you, it is but a manifestation of mind. Even though good thoughts along the way to Nirvana appear to you, they are but manifestations of mind. Even though obstacles due to demons and evil spirits appears to you, they are but manifestations of mind. Even though the gods and other excellent attainments appear to you, they are but manifestations of mind. Even though various kinds of purity appear to you, they are but manifestations of mind. Even though (the experience) of remaining in a state of one-pointed concentration without any discursive thoughts appears to you, it is but a manifestation of mind. Even though the colors that are the characteristics of things appear to you, they are but manifestations of mind. Even though a state without characteristics and without conceptual elaborations appears to you, it is but a manifestation of mind. Even though the non-duality of the one and the many appears to you, it is but a manifestation of mind. Even though existence and non-existence, which are not created anywhere, appear to you, they are but manifestations of mind. There exist no appearances whatsoever that can be understood as not coming from mind. Because of the unobstructed nature of the mind, there is a continuous arising of appearances. Whatever arises is liberated into the natural state of the mind. With respect to its real meaning, the mind (of the individual) does not exist other than as one. And, moreover, this singularity is without any foundation and devoid of any root. But, even though it is one, you cannot look for it in any particular direction. It cannot be seen as an entity located somewhere, because it is not created or made by anything. Nor can it be seen as just being empty, because there exists the transparent radiance of its own luminous clarity and awareness. Nor can it be seen as diversified, because emptiness and clarity are inseparable. Immediate self-awareness is clear and present. Even though activities exist, there is no awareness of an agent who is the actor. Even though they are without any inherent nature, experiences are actually experienced. If you practice in this way, then everything will be liberated. With respect to your own sense faculties, everything will be understood immediately without any intervening operations of the intellect. Even though he does not know the explanation, he can systematically establish himself in the experience of it. Not understanding this (intrinsic awareness), even Panditas can fall into error. it will only be like spreading rumors of places, which they have not seen personally. And with respect to Buddhahood, they will not even approach it for a moment. If you understand (intrinsic awareness), all of your merits and sins will be liberated into their own condition. will accumulate as karma leading to transmigration in heavenly rebirth or to rebirth in the evil destinies respectively. just as a spring cannot originate in the empty sky. In the state of emptiness itself, the object of merit or of sin is not even created. Therefore, your own manifest self-awareness comes to see everything nakedly. and, this being so; you should become intimately acquainted with self-awareness. Though necessarily brief and concise, have been composed. So that those whose good karma ripens in the future shall come to encounter them. Is entitled "Self-Liberation through Seeing with Naked Awareness." 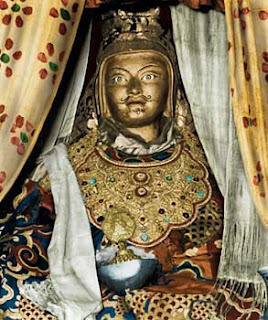 It was composed by Padmasambhava, the Master from Uddiyana. Until Samsara is emptied of living beings, may this Great Work of liberating them not be abandoned! (On the full moon day of the eight-month of the Wood-Ox year, this Terma text entitled the Rig-pa ngo-sprod gcer mthong rang-grol, belonging to the Zab-chos zhi-khro dgongs-pa rang-grol cycle of Rigdzin Karma Lingpa, was translated by Vajranatha in the hope that it will enlighten and benefit all beings.
. The sole purpose of the practice of the second door of impermanence is for this insight to arise. Sentient mind however posit a ‘self’ and holds. Whether the “thought” is good or bad, it attempts to do something to change, whatever direction it goes either good or bad, all is ‘doing’ (karma) and prevents the liberating nature. However without the experience of no-self (Buddhism non-duality not Adviata non-dual), one can never understand this intuitively.